Producing an effective assessment to get the best business. Producing a testimonial takes a special craft. It carefully toes the line between endorsement and op-ed, and if done right, removes the essence of a commercial and exchanges it with a homegrown feel of the products and services that are actually being used. Therefore, it can and should take significant effort to find the right subject for testimonial productions in the ag industry. Once you have determined the ideal representative for your product or service, you need to ensure that they can provide enough substance to deliver on their own usage and opinion. So how do you shape an ag testimonial subject, an individual who knows your goods inside and out, and transform them into your best spokesmodel? Preparation. Give your subject a thorough understanding of the testimonial process, make them as comfortable as possible in front of a camera and/or microphone, and review any suggested language to be used. Keep it short and conversational. A scripted testimonial can be perceived as a commercial and lack credibility. The goal is to receive a brief, outstanding recommendation from a real human, discussing how and why they use the products and services that they do. Namedrop. The very purpose of a testimonial is to obtain support from a consumer. Without your brand name, this could be an opinion about anything. Therefore, your brand name is imperative to the success of the testimonial and it’s to your benefit to ask for your brand name to be used in this context. Encourage your subjects to be specific in their descriptions. Ask them to illustrate with words. Instead of using language such as “some” or “a few,” which can be vague, recommend using numbers or percentages. Likewise, suggest that they talk enthusiastically and in details about how a product works, the seasonality of it and why they prefer to use it. Similarly, with machinery – discuss ease of use and service of the machine. The viewer is interested in WHY a product or service is worth the investment, and this is the way to do it. Make it visually stimulating. Interview your subject in an appealing environment, but also one where they are comfortable. This might include in front of a piece of equipment that he or she uses frequently or on a picturesque piece of their property. Choose a background that is interesting and unique, but will not conflict or distract with their dialogue. We’ve all seen the testimonial of a farmer pinned against a blank wall staring nervously into the camera. These can feel more like a kidnapper’s proof of life video than a testimonial. The best testimonials are more than just a talking head. They include informative and comprehendible language and, in the case of video testimonials, an adequate amount of visual footage (called b-roll) that supplements the dialogue. Find a commonality between the visual with the words, so that there is a complementary element between the two. As well, capture the subject engaged in his or her job, which will humanize them and give their words more authenticity. Finally, try to use shots of any other related activity that is accessible during the shoot, including other equipment, animals, crops and personnel that may be integral to the success of your product or service. The more available b-roll variety, the more attractive and engaging a testimonial video will be. 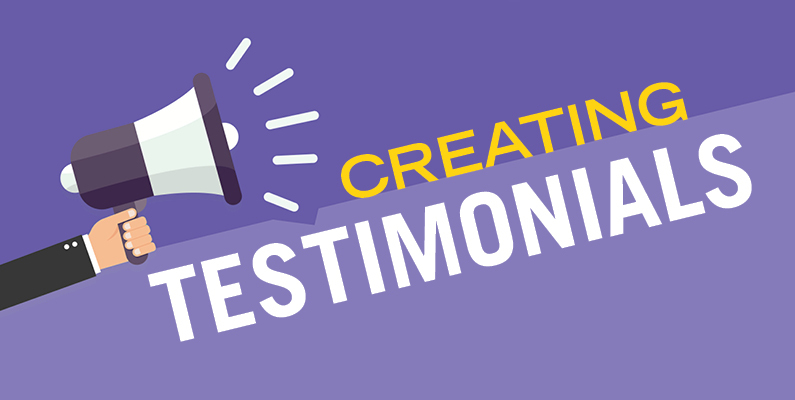 Testimonials are a terrific opportunity for your subject to connect to the greater community and to advocate for you. Take the time to make these productions as strong as possible and give yourself and your business the opportunity it deserves.